We are manufacturer, exproter & supplier of Engineering Moulded Products / Components. 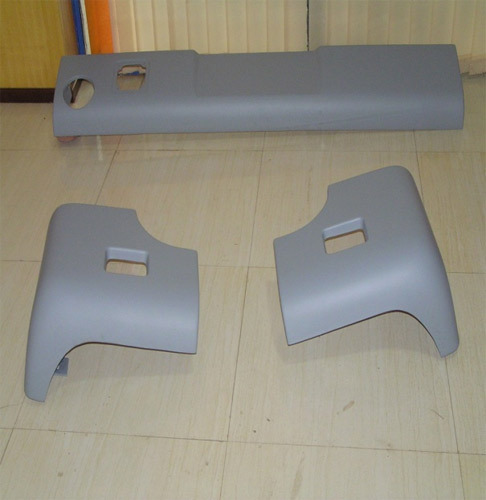 Our Automotive & FRP products with wide spectrum of applications help us to serve Automobile & Engineering Industry. Creating and developing concepts and specification that optimize the function values and appearance of the components/ engineering moulding products using 3D computer environment to develop rapid iteration of the design concept, generating 3D solid model using the latest PRO - E wild fire software geometry that can be used in prototyping and can be send for proofing, Testing of the design on CNC. We, ACE Engineering & Chemicals Private Limited, plan the process according to usage of machinery and closely monitor production for the quality quantity and consistency in supplies.